The American Shorthair is a cat of mediums. Medium build, medium size, and middle of the road temperament. 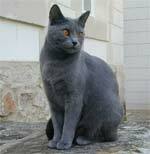 The cat should appear strongly built, well balanced and symmetrical; a real powerhouse cat with endurance and agility. The head should be large and full cheeked with definite jowls in males. The cat should have an open and sweet expression. The jaws are strong and long enough to catch prey with a square muzzle. The neck is strong and muscular, holding the head on a solid and powerful body. Legs are medium in length and bone with firm, full and rounded paws on heavy pads. The coat, found in more than 80 colors and patterns, should be short, thick, even and hard. This is a working cat which has adapted over time to the harsh winters on the Eastern Seaboard. The coat should be thick enough to protect from moisture, cold, and superficial injuries. A hearty cat, the American Shorthair lives 15-20 years with ease. Though you may own a cat similar in appearance to the American Shorthair, do not be fooled. 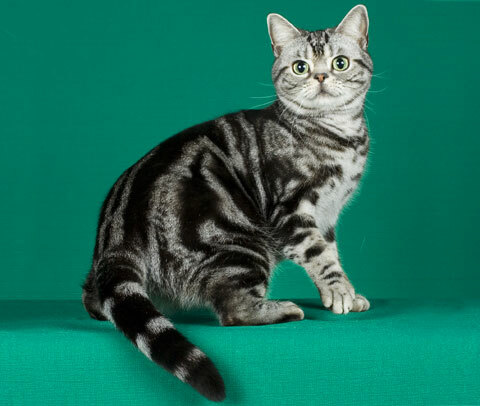 The average house cat shares many of the same genes, but the genetics that give us the beautiful coat and lovely temperament of the American Shorthair lack continuity in a moggie. The American Shorthair is a sweet cat, loving and of even temperament. The cat is best described as being the cat of "happy mediums". It is a loving lap cat, but not one that will constantly be in your face. They love affection but dislike being cuddled. They are sociable, easily trained, and friendly with both children and other pets. 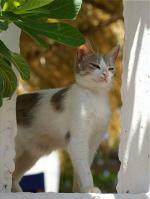 Having the history of a working cat, American Shorthairs tend towards independence. 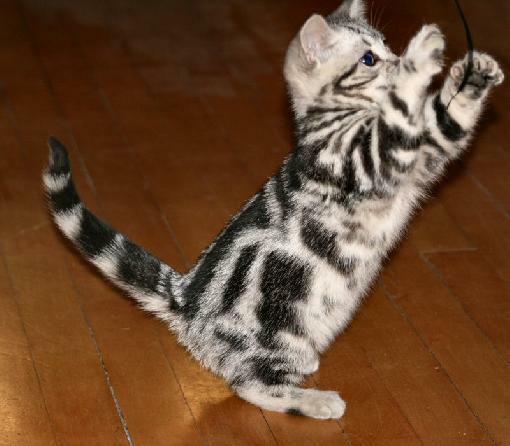 American Shorthairs have a quiet voice and an easy, adaptable personality. The American Shorthair is an easy to care for cat. There are few genetic defects in the breed as the standard calls for them to be bred from hardy domestic stock, thus giving them a large gene pool. The American Shorthair is a truly All-American cat. Its history can be traced back to the pilgrims; the breed has its roots in those cats which came over on the Mayflower in 1620. 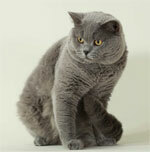 Faithful companions and hard workers, the American Shorthair has adapted over time into the sturdy hunter we see today. They were a staple in the American household and only with the arrival of foreign imports did the American Shorthair begin to disappear. 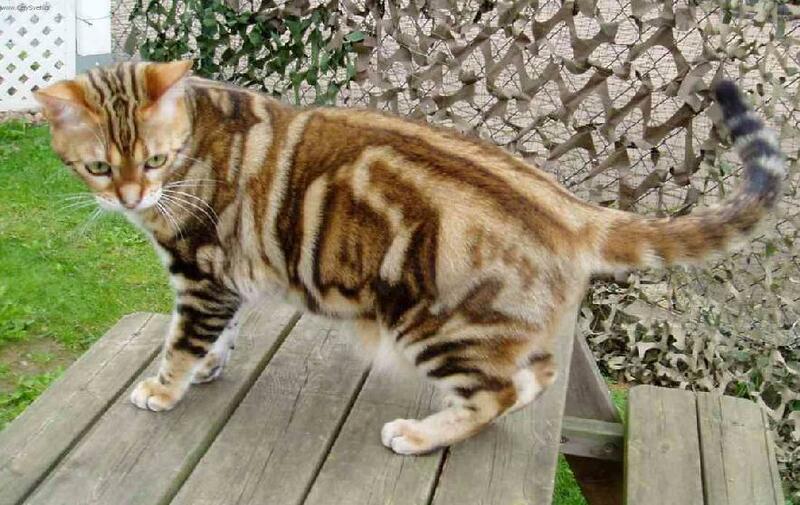 The flood of imports began to dilute the bloodline of the breed, and in the early 1900's a group of breeders began to selectively breed American Shorthairs in order to preserve the true heritage of this wonderful cat. Though a true All-American cat, their acceptance into the feline show world has not been easy. 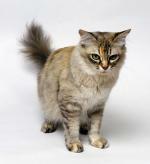 Viewed for decades as little more than an alley cat, it was not until the 1960's that the breed was granted acceptance. 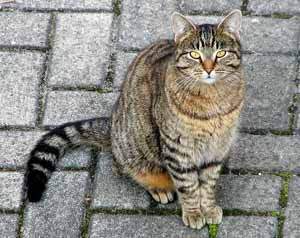 It is now one of the most popular breeds, with the Silver Tabby being the most popular color. One-third of American Shorthairs sport the distinctive black on silver coat.